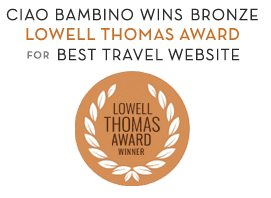 Weekapaug Inn - Ciao Bambino! The Weekapaug Inn is one of New England’s last great family resorts, located in the peaceful community of Weekapaug, Rhode Island. It has sweeping views of Quonochontaug Pond and the Atlantic just beyond. Originally built in 1899, it reopened in 2012 after a multi-year renovation. The inn has 27 guest rooms and four two-bedroom Signature Suites, ideal for families. Amenities include activities with a resident naturalist, farm-to-table casual and fine dining, an outdoor pool, and a private community beach. Guests also have access to amenities and activities at sister property The Ocean House in nearby Watch Hill. The inn is the perfect setting for families to truly unplug and enjoy good old-fashioned fun together: playing shuffleboard, riding bikes and lounging on Adirondack chairs.